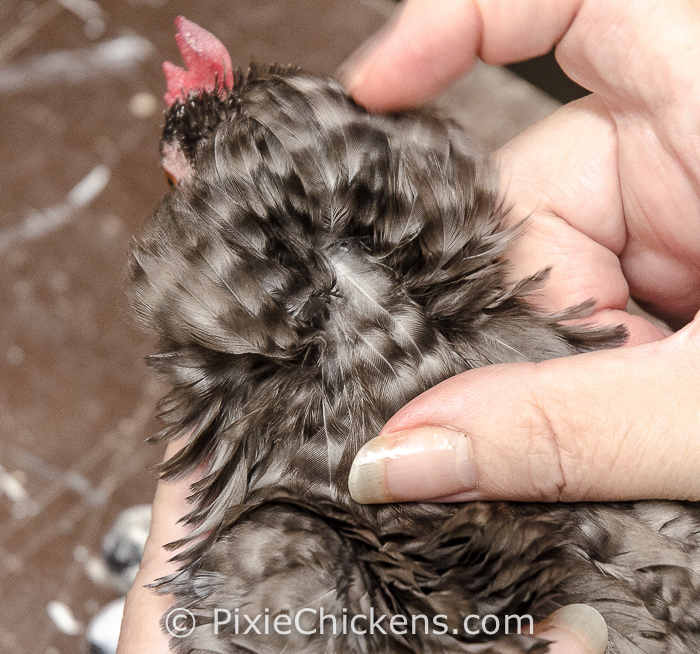 Felicia is a blue frizzled cuckoo/barred hen although at first glance she appears to be solid blue. 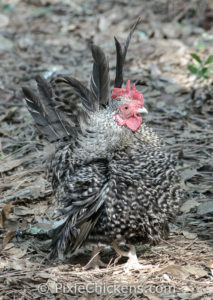 She does have the cuckoo gene as displayed in the barring on her neck feathers. 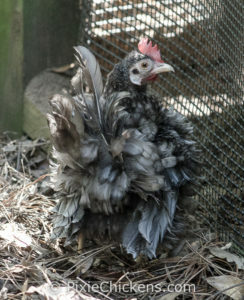 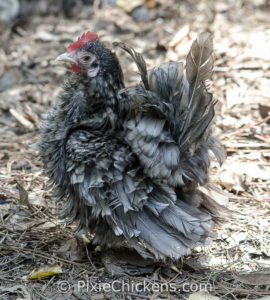 Mated to Keystone, a blue wheaton, she produced Smokey, a frizzled cuckoo, who is also for sale. 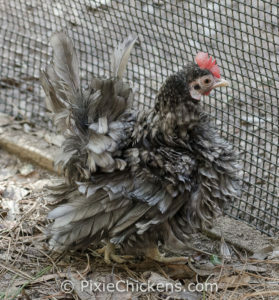 Auction end time: All auctions will end on Saturday, October 8th. 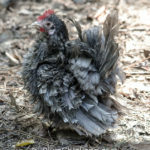 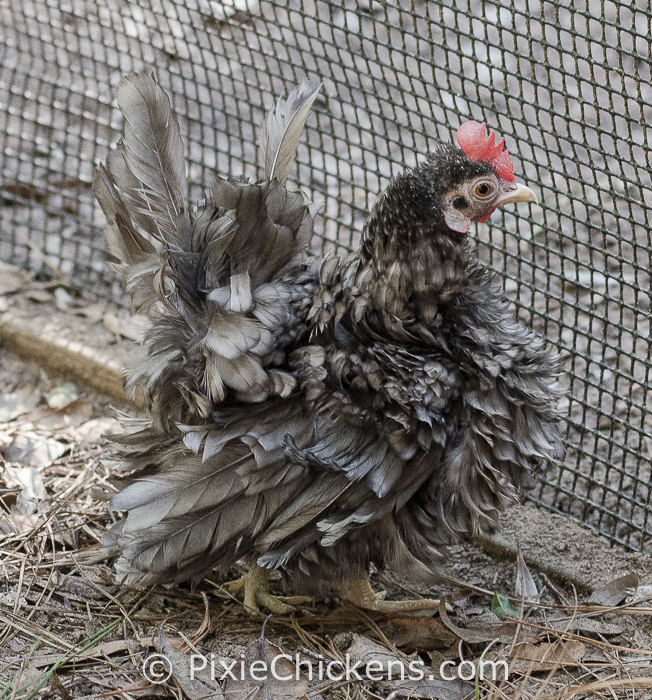 Felicia is a frizzled blue cuckoo hen although at first glance she appears to be solid blue. 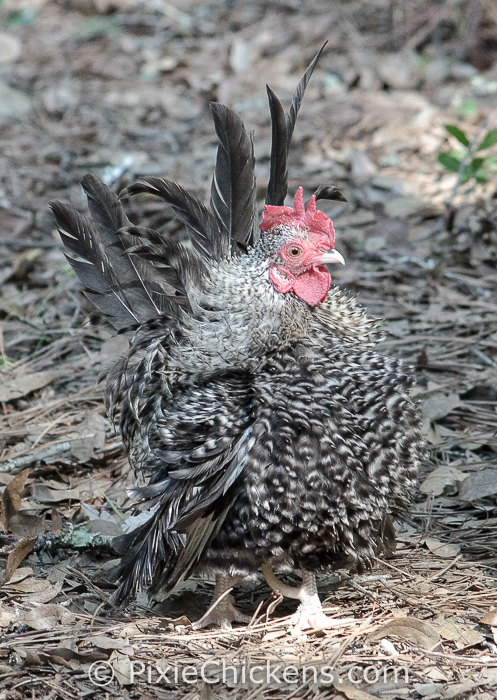 She does have the cuckoo gene as displayed in the barring on her neck feathers. 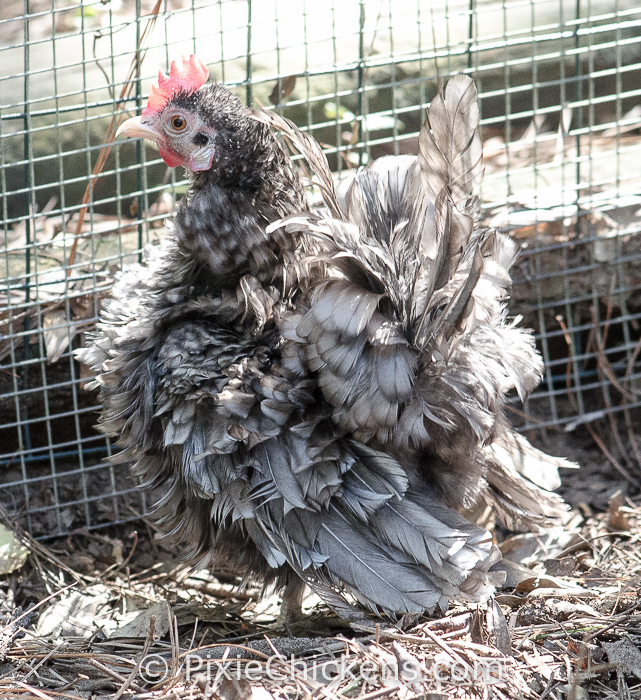 Mated to Keystone, a blue wheaton, she produced Smokey, a frizzled cuckoo, who is also for sale.